Lemgo/Hamburg/Melle, 8th January 2016 -- HGK Global and 11 other investors took over an animal feed producer, the Bunny Tierernährung GmbH. 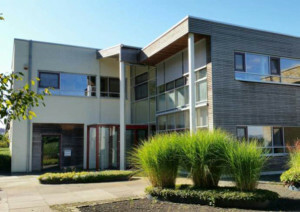 The complete transaction was executed by Hamburger Lampe Privatinvest Management GmbH. The parties decided not to announce the purchasing price. The family business based in Melle and was founded by Helga Ostermann in 1988 and taken over by her son Hartmut English in 2002. Bunny Tierernährung GmbH distributes its premium products with the brand "bunnyNATURE " exclusively through retailers and veterinarians. The high-quality product portfolio for small mammals includes not only basic food especially various sorts of hay with high biodiversity and also supplementary feed, accessories and litter. The company engages ca. 55 employees. The Managing director Oliver Petzoldt (46 years old) will stay in the company and join in as a minority partner to Bunny Tierernährung. Petzoldt acts in the company since 2013 and since 2014 he is a member of the Management as a result of an early succession plan. He will continue to lead the company with the proven team. „In Lampe Privatinvest we found a shareholder who supports us sustainable and is interested in the long-term corporate development. I’m looking forward to a successful and committed cooperation”, Oliver Petzoldt commended. Lampe Privatinvest as an investment company of Bankhaus Lampe is focused on long-term minority and majority shareholdings in the German medium-sized business and it’s funded by entrepreneurial private investors. Victor Antunes, Managing Director of Lampe Privatinvest, means Bunny Tierernährung is well positioned. “As a premium manufacturer, the company has an excellent position in the rodents-market and it looks back on a dynamic corporate development. We feel confident that we implement the further expansion together with the management and position the company successfully long-termed in the international market”. Lampe Privatinvest provide for a long term private equity for the German middle class and goes into minority and majority interests. It’s focused on the areas of demand, growth plans and changes in the group of shareholders in general. Lampe Privatinvest is funded by select group entrepreneurial embossed private investors and is part of the Bankhaus Lampe Gruppe Bankhaus Lampe is completely owned by the Oetker family.